A cheerful looking place with spacious and relaxing appearing rooms. A budget-friendly place, Hotel Forum Park is a fine hotel with a colorful external architecture and an equally cheerful interior decor. 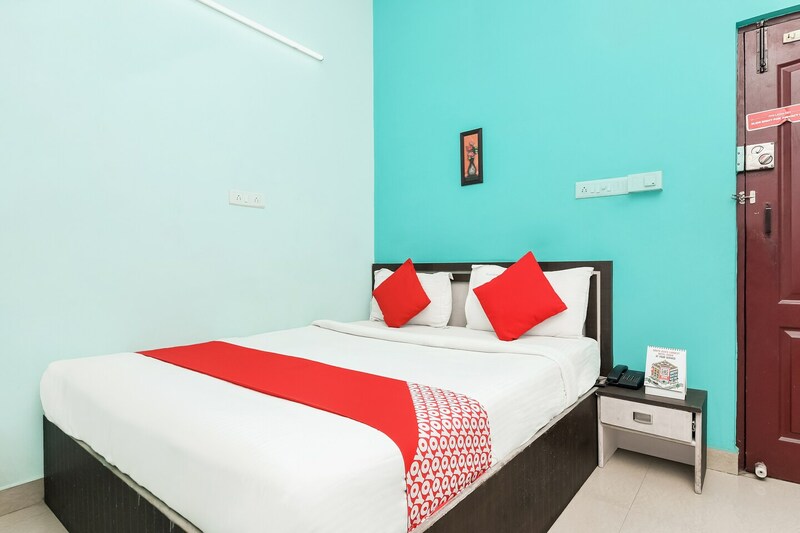 The bedrooms at the hotel have a joyful decor with dark pastel colors, wood furnishings and several flowered plants placed all around the rooms. The free Wi-Fi and power backup offered by the hotel allows the guests to stay in contact with the various social networking platforms and not miss out on any important updates. The card payment option at the hotel encourages the guests to go cashless and proves to be a hassle free payment plan. Other amenities provided by the hotel are a geyser and the security ensured by the presence of CCTV cameras.